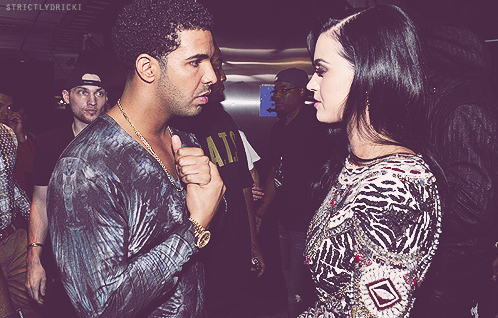 Katy Perry refers to Drake as soft, calls him her secret diary. Sure Drake can get a little emotional with his music, but does that make the YMCMB hitmaker soft? Well, Katy Perry thinks so. While promoting her new video for “Birthday,” KP phoned into New York’s Power 105 “The Breakfast Club” show this past week and made a little jokey joke about Drizzy. Katy started out praising her “Dark Horse” co-star Juicy J, before jabbing at the Young Money star. “Awwww he’s so sweet. He’s such a sweet, genuine guy and an amazing, hard worker,” she gushed about Juice. The comment drew excitement and laughter from the show’s hosts, before Perry tried to clean things up a bit. “I love Drake; he’s like my secret diary,” she backpedaled (or, depending on how you heard it, threw another shot). “I really love Drake, so get off my D,” she later said.